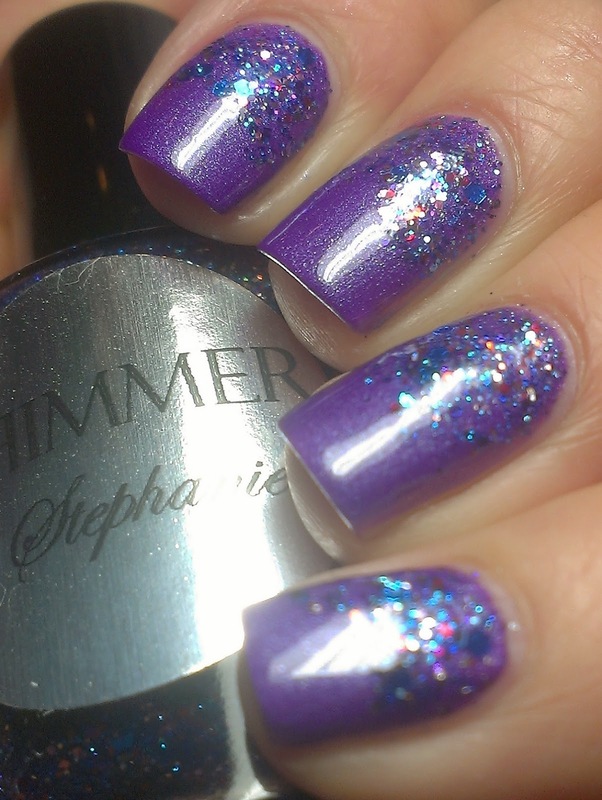 Today I want to share with you another awesome Shimmer Polish, this is Stephanie, this one mainly consist of blue glitters in small/large size with scattered red, pink and holo glitter, it is simply amazing. I used it in a reverse gradient! 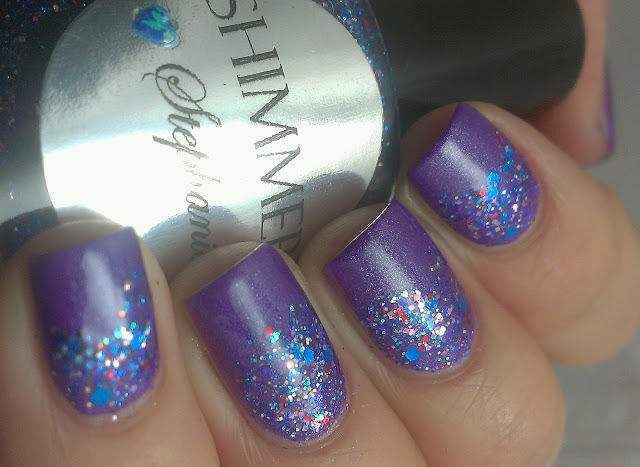 Beautiful polish, love the combination of colors!! 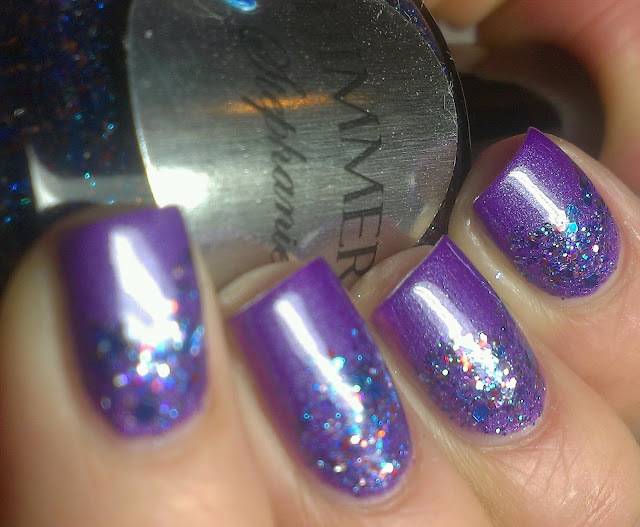 It's a lovely combo, I love both polishes..
Lovely combination and Poke is super gorgeous! 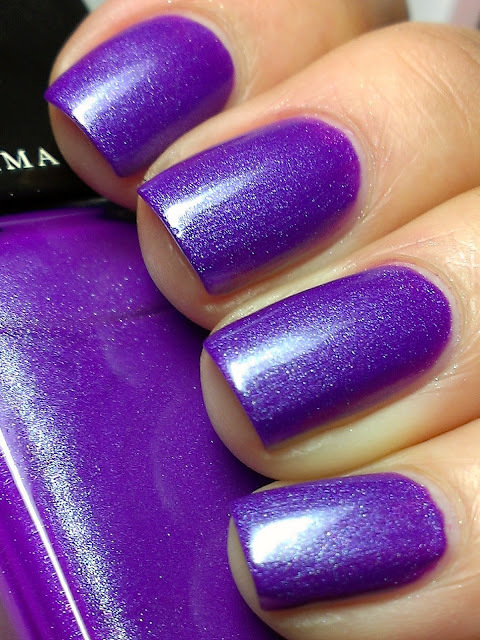 This Illamasqua was only $14 regular price?! Great steal :) And I like your glitter gradient!